These linen tablecloth tend to be more expensive than cotton fabrics because the texture is soft, cool, strong, and easily folded. 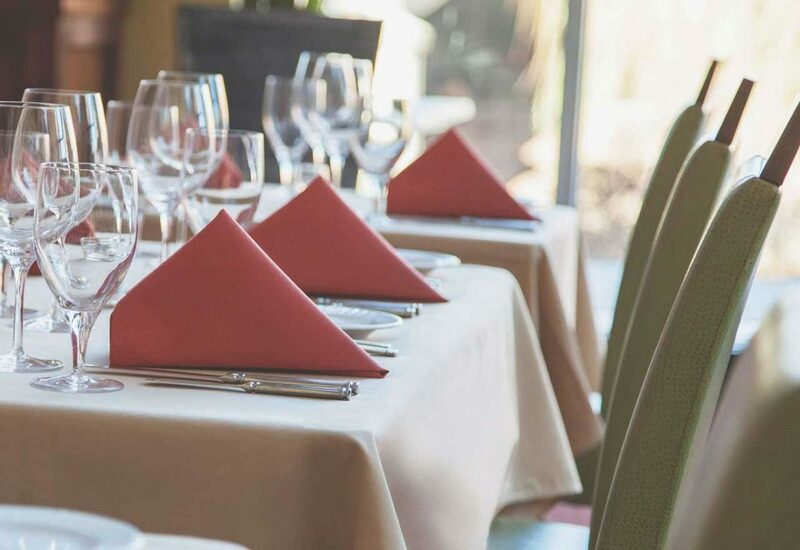 Generally, linen is often applied as a tablecloth or napkin, because the texture is easily folded and is very suitable to be a table decoration. So, it’s no wonder if fancy restaurants often use this material as a tablecloth that gives the impression of luxury. However, because linen has cool material, making this fabric is also often used as curtains, blankets, pillowcases, and bed sheets in the hospital bedroom. 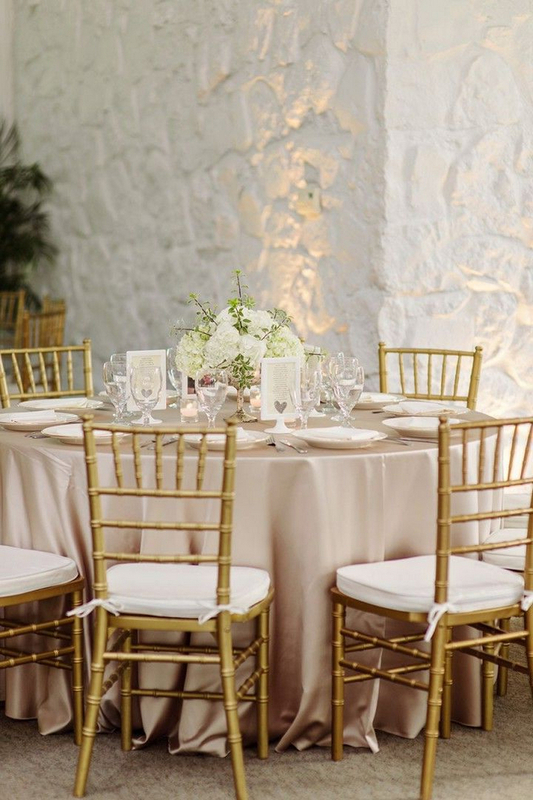 Linen is commonly found on household items, such as sheets, pillowcases, towels, table cover, tablecloths, and so on. Linen is usually made of mixed cotton, both original and synthetic. Linen is a material that absorbs liquids quickly and is very often stained, whether it’s stained coming from broth, sauce, and oil, or even wine or coffee. However, before you clean the linen, first, you must be figuring out what is the type of linen? Because there are two types of linen that we usually found in the market, namely washable linen and non-washable linen. Washable linen is usually characterized by a more pliable surface, there are tangled threads on the surface (as we usually find on a towel fabric). While non-washable linen tends to be more rigid and a flat surface. To clean linen, you need to know the type of stain on linen. Because, certain types of stains require certain methods and treatments, as described below. 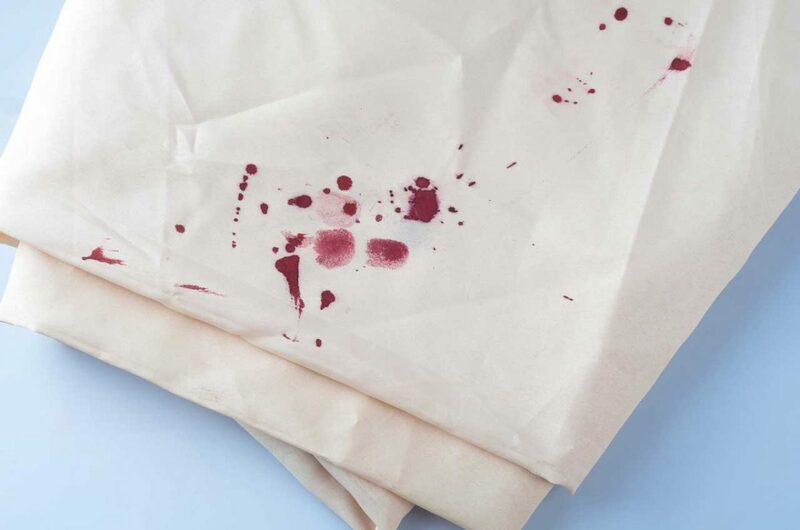 Blood stains that are still fresh and still attached to linen cloth can be removed by rinse it under running water. Make sure the water pressure is strong enough. For dry blood stains, linen should be soaked in warm water first, then wash with detergent as usual. 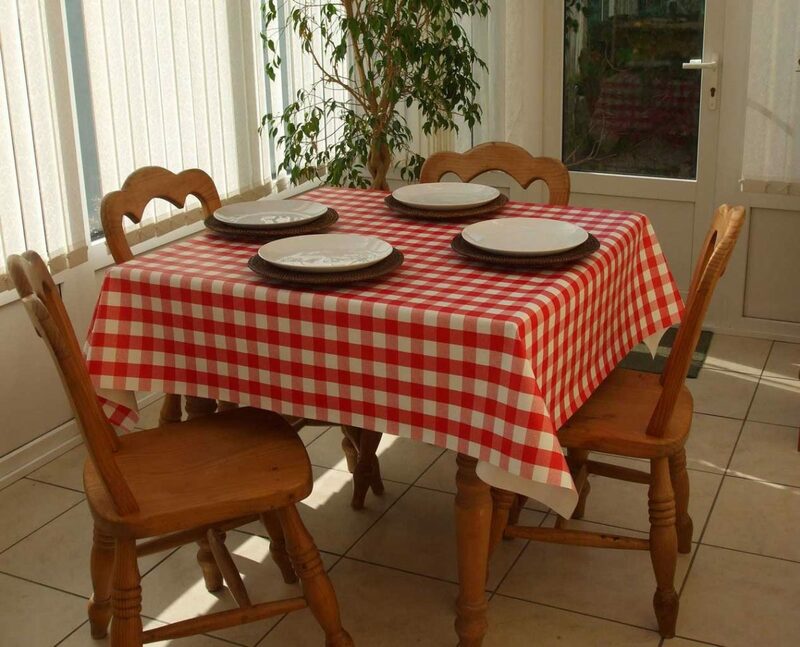 Linen cloths on the dining table can be exposed to coffee spills that will leave a bad spot. How to clean it, first, you must wash the coffee stain using clean water, then spray the stain remaining with stain remover. After that, wash the linen with cold water and dry it. 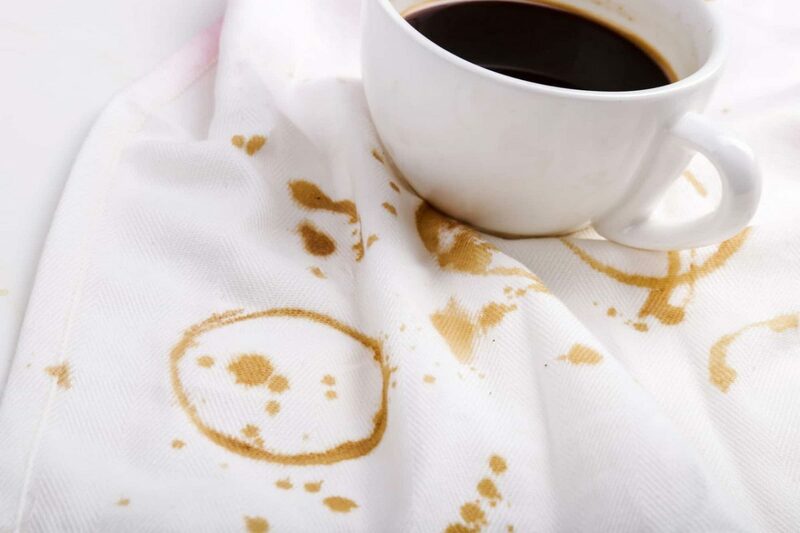 For longtime coffee stains, the stain can be removed by soaking the linen cloth in the baking soda. Wine stains attached to linen can be cleaned by sprinkling salt on top so the stain fades a little. After that, wash as usual with cold water. Especially for wine stains that have dried, you can spray soda water on the stain, let the stain peel off, then wash with clean water. 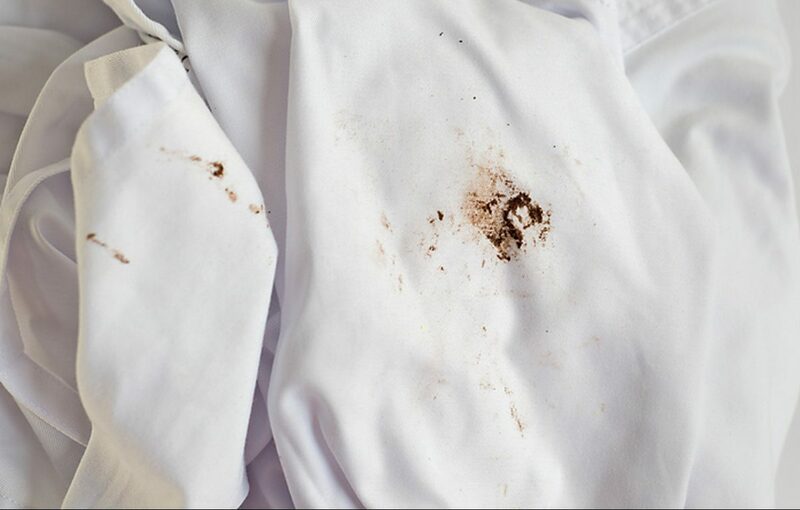 Chocolate stains are also often attached to linen. Chocolate is a solid object, so usually brown stains still leave solid powders that are difficult to clean. For that, clean the solid impurities by scraping it slowly. After that, wash the cloth with soda water, brush it in a couple minutes, then soak in warm water. Especially for the chocolate stain that have dried and stick for long enough, you can use ammonia or detergent on the affected stain area, then brush it for a while. Rinse with clean water. 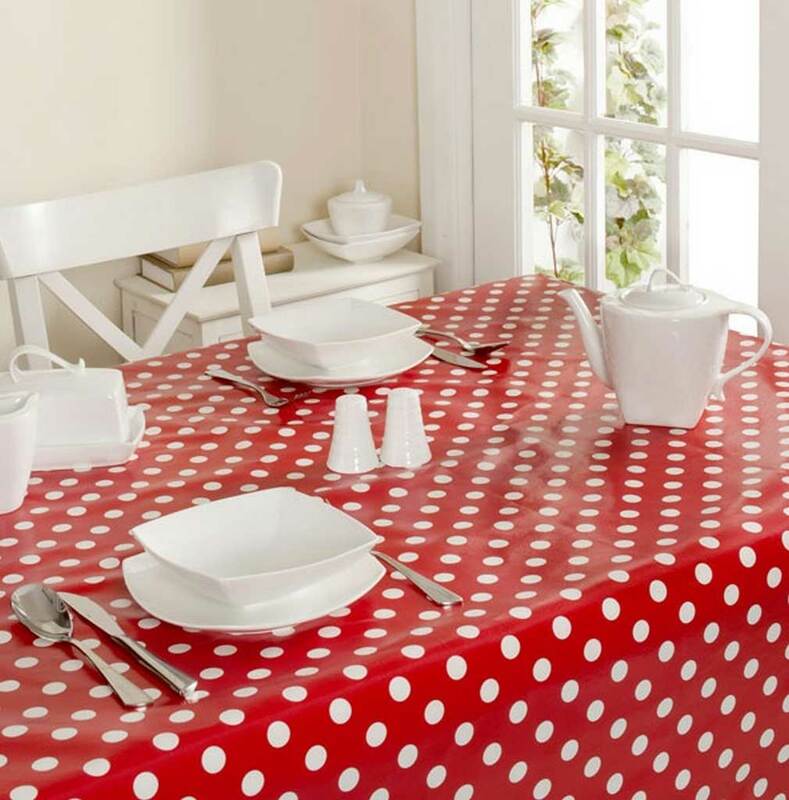 Wax that accidentally hits the tablecloth can leave stains. To clean it, first, you must freeze the stain using ice or put it in the freezer, so that the wax will freezes. After freezing, you can peel off the wax. Normally, the wax will be easily peeled off just by scrape it using a finger. 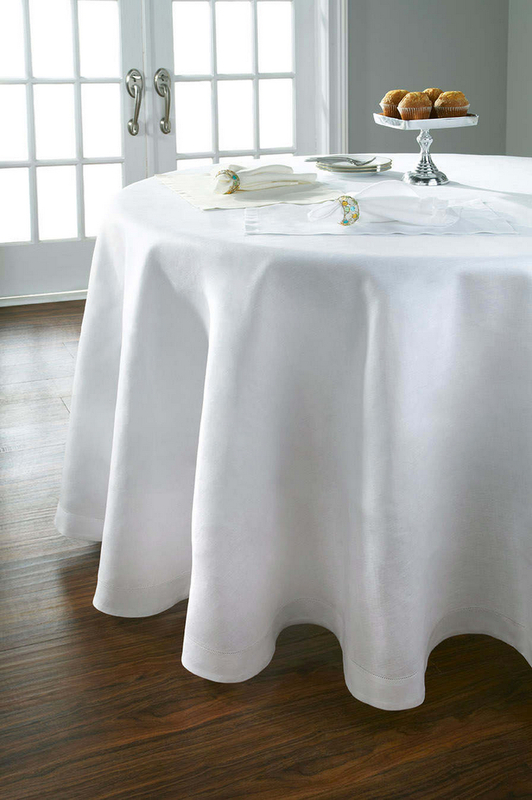 After the linen tablecloth has been washed and cleaned, you may need to bleach the linen to keep look bright, white and germ-free. However, bleaching must be done correctly and not too often. The use of bleaching that is too frequent and excessive can make the fabric fibers will weaken. The method is to soak the linen cloth in warm water, then add 3/4 to 1 cup of liquid chlorine bleach for the top-loading washing machine, while for the front-loading washing machine is usually used much less bleaching, which is only about 1/2 cup only. Make sure the bleach you choose is safe for all colors and does not cause fabric color or clothing to fade. Then add detergent based on your daily dosage. Make sure the detergent dosage is not too much or too little. Too little detergent dosage can make the linen cloth becomes grayish. If so, put in the linen cloth slowly and wash as usual. After that, dry the linen cloth by drying it in the sun. Try not to use a dryer, because the dryer can make the linen wrinkle and brittle. You should clean the stain before it dries and sticking too long on linen. For certain stains, avoid using warm water to clean it. 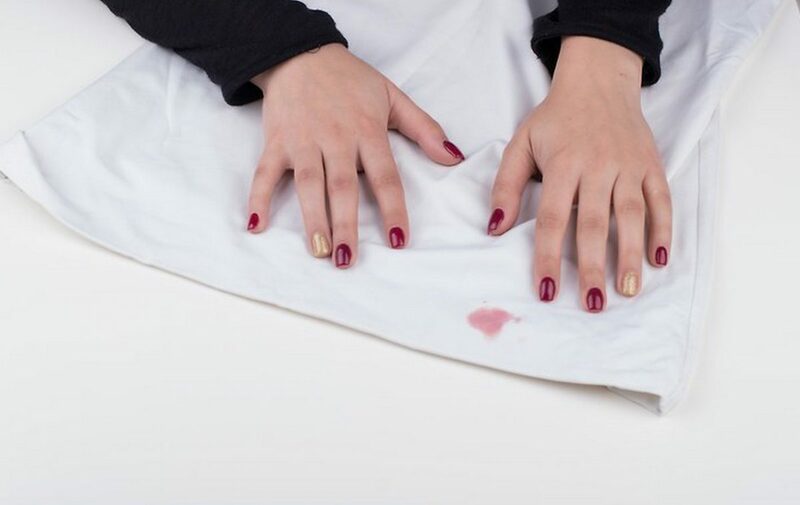 Warm water can actually make the stains spread on the linen fabric. When cleaning the stain, turn it inward, so the stain does not spread. So, if you wish to acquire these incredible pics related to All About Linen Tablecloth: Tips and Ways to Clean Stained Linen Fabrics, simply click save button to store the pictures for your PC. They’re available for transfer, if you like and want to take it, click save symbol on the web page, and it will be immediately saved to your laptop computer. 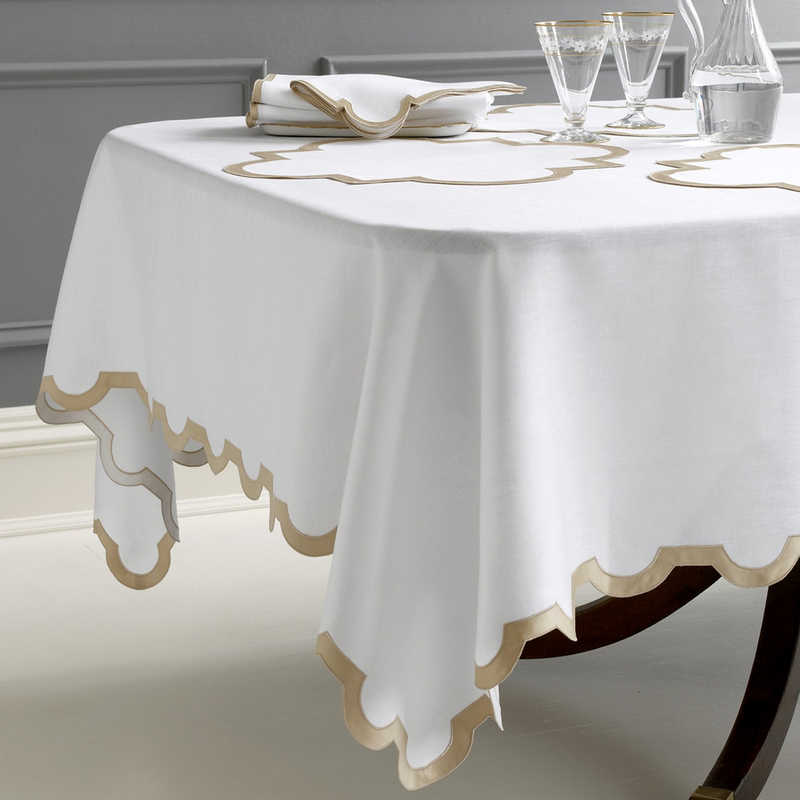 Thanks for visiting Tablecoversdepot.com, article above All About Linen Tablecloth: Tips and Ways to Clean Stained Linen Fabrics published. Most people attempting to find information about Linen Tablecloth and certainly one of these is you, is not it?